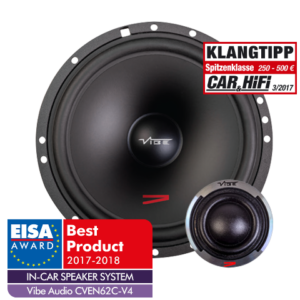 Vibe is the UKs largest car audio manufacturer that sells on the highstreet and with a competition range only available at your local car audio specialist. In our previous article we told you that the SPL subwoofer to be used in this 48hr build off is the Ground Zero Xmax Nuclear 15. The Ground Zero subwoofers with names like Nuclear & Uranium, what better name for an amplifier that follows this deathly theme than “BLACKDEATH” (M14K-V6) made by Vibe. 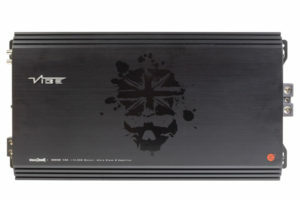 This amplifier is capable of providing 7,000 watts rms at 1ohm. For this application we shall be running it at 2ohm with 4,900watts rms, a perfect match for the 4,000 watt subwoofer. We also pointed out that this subwoofer could also be used for SQ duties (according to the GZ smiling face-o-meter) to help hit those 40hz and 30hz tones on time and in phase with the front end when evaluated on the EMMA subbass technical track (aka cigar box). Going to be interesting to see how the build teams plan there systems. 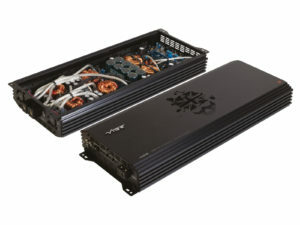 The amplifier is designed as a full range ultra class D, with a very compact footprint. The 6.5” component set comes with a high excursion 1” tweeter which plays well into the midrange. The build off competition teams each have 5 members, which if working 8 hours per person over the two days is the equivalent of 2 weeks work! The question on our minds is how far will the installers push themselves, dash build, kick builds or play it safe and use the OEM location? I suppose you are all saying “I guess it depends on the car”. The cars being used in this build off are the Audi TT mk1. To find out what some of the best installers can do to an Audi TT in 48hrs you must join us at Modified nationals later this month where you will find us next to the famous VIBE tunnel.